A casino and entertainment complex that drew the ire of neighbors in the East County opened to the public Monday and, combined with road construction, led to major traffic congestion on state Route 94. 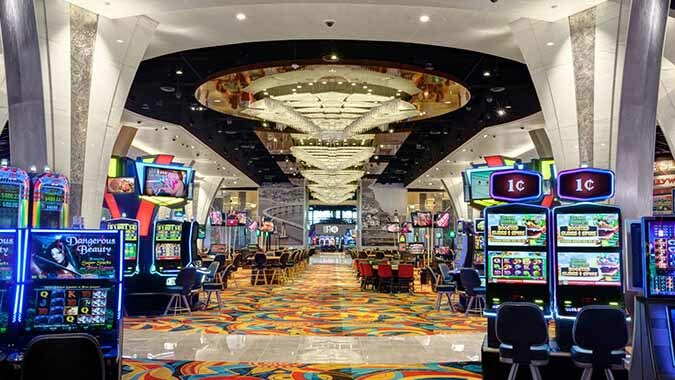 The $400 million Hollywood Casino Jamul-San Diego, around 20 miles east of downtown San Diego, features 1,700 slot machines, 43 table games and seven restaurants. One of the eateries, Tony Gwynn’s Sports Pub, features memorabilia from the late Padres icon and an array of televisions for watching athletic contests. The 200,000-square-foot casino, on the property of the Jamul Indian Village, also includes a nightclub. A 25-year gaming compact between the state and the tribe was signed in August by Gov. Jerry Brown, setting the operating terms for the three-story facility, which will employ more than 1,000 people. The casino was built and will be operated by Penn National Gaming, which runs 27 other casinos across the U.S.
Area residents, led by county Supervisor Dianne Jacob, bitterly fought the development because they were concerned about traffic impacts on the semi-rural roadway in the area. She has criticized Caltrans for allowing the project to proceed. “Caltrans is failing the public by allowing the casino to open without all the badly needed road improvements in place, which was a part of the agreement Caltrans reached with Jamul Indian Village in 2009,” Jacob told City News Service. The tribe said it expects to pay $23 million for road and transportation improvements in the area.